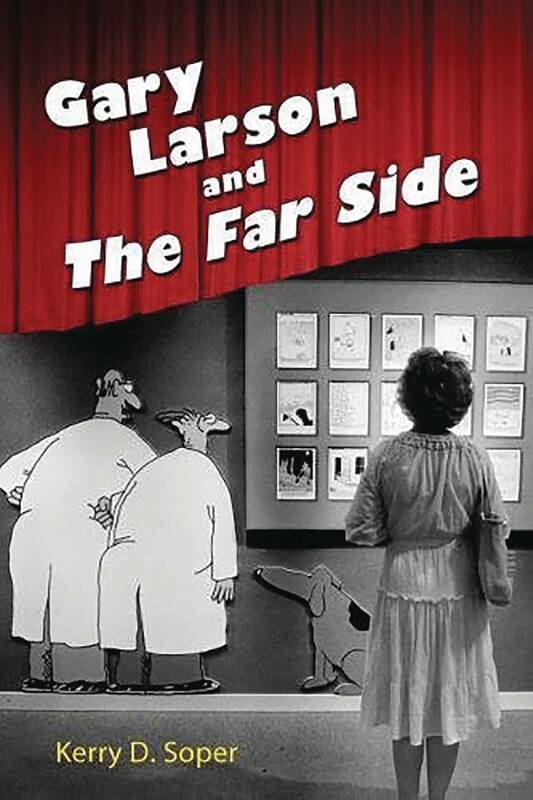 Kerry D. Soper reminds us of The Far Side's groundbreaking qualities and cultural significance in Gary Larson and The Far Side. In the 1980s, Gary Larson (b. 1950) shook up a staid comics page by introducing a set of aesthetic devices, comedic tones, and philosophical frames that challenged and delighted many readers, even while upsetting and confusing others. His irreverent, single panels served as an alternative reality to the tame comedy of the family-friendly newspaper comics page, as well as the pervasive, button-down consumerism and conformity of the Reagan era.